I am of course slightly behind schedule with this CAL having started two weeks ago, but I hope to catch up soon. I have the first video almost ready and after Dedri gives it a thumbs-up, I’ll post it for you all to see. Thank you for such an outstanding job on the video tutorials. I’m newer to crochet and especially color changing. 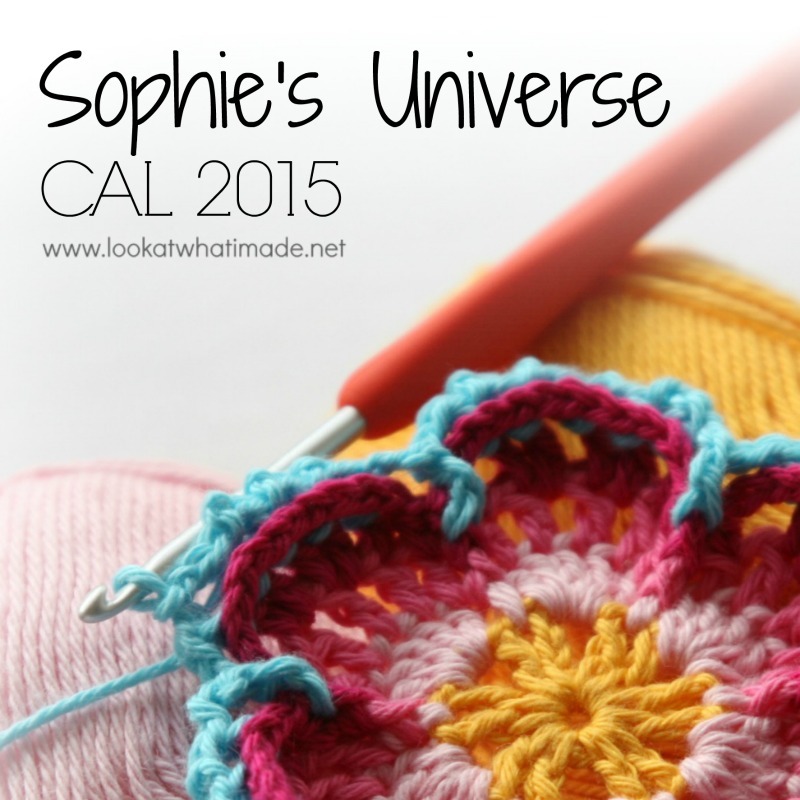 I’m wondering if you have a video or a recommendation for a good video tutorial showing how to weave in the ends properly for a piece like Sophie’s Universe? Thank you in advance for your help. The essence of weaving in the ends is to work at least 15cm in. I work at least 10cm one way and then backtrack and work in at least 5cm in the opposite direction (skipping the first loop because otherwise you undo it ofcourse). By working in in two directions the change of anything becomming loose is less. I don’t have a video for you myself at the moment but I have the intention of making a set of basic skills videos by the end of the year, but that does not help you right now, I know 🙂 Hope my answer helps you a little.